Megalith - Mega = large, lith = rock. 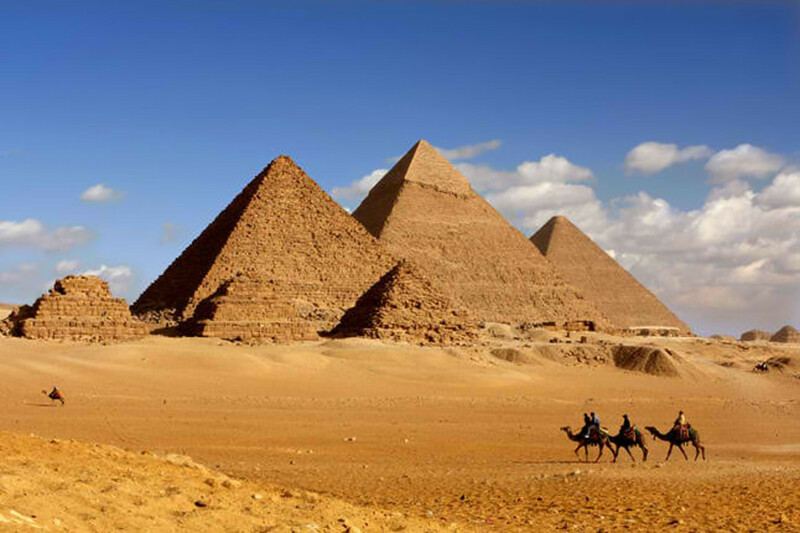 Large rocks typically used to build larger monuments. Similarly, mono = one, so a monolith is one massive piece of stone. When this word is used, it means the stone stands alone. Neolithic - Neo = new, so this word refers to "the new stone age." This was a period of advancement for human civilization marking the point when we moved from hunter-gatherers into agrarian farmers. 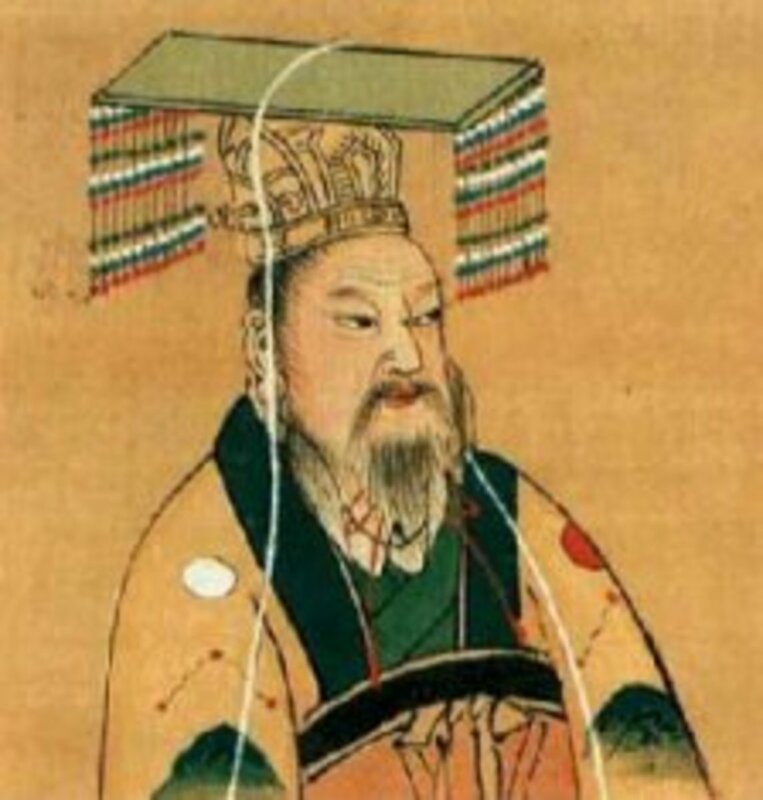 The period is usually considered to have began around 9,000 to 10,000 B.C. in the Middle East region. The first Neolithic settlements in Europe are found in the Balkan region (Southeast Europe) around 6,000 B.C. From there, the "Neolithic Revolution" spread up and outwards into the rest of Europe. 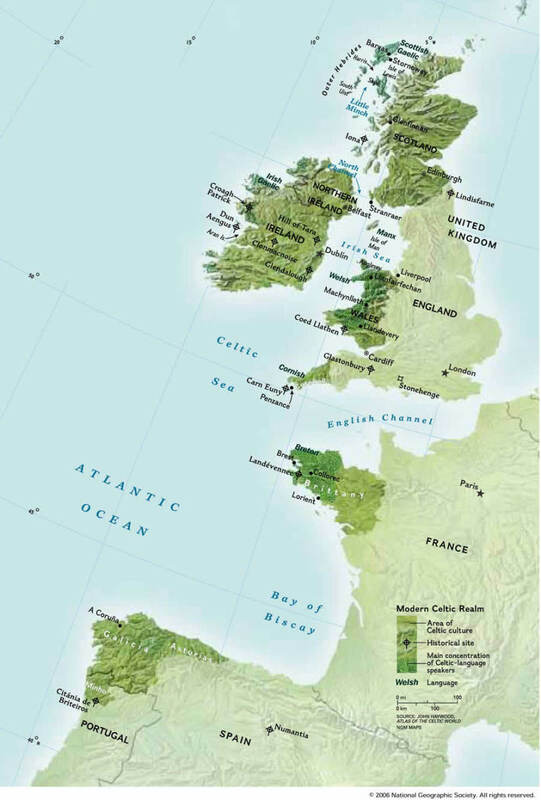 The earliest known Neolithic sites in the British Isles date to 3,500 B.C. Cairn - Pile of stones, usually intended as some kind of monument. 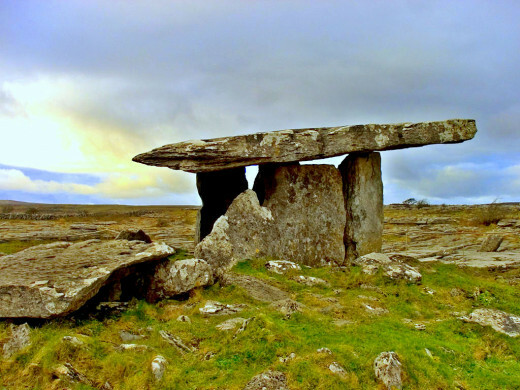 What is a passage tomb? There are many examples of different types of megalithic monuments from the Neolithic period. Chamber tombs are one type of Neolithic structure, and passage tombs are a sub-category of chamber tombs. A chamber tomb simply means that the megaliths were arranged to form a chamber within. Dolmens are one example of a chamber tomb (see image below). A chamber tomb is considered a passage tomb when the structure is more developed. 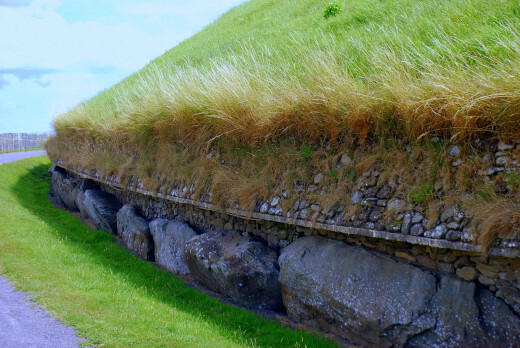 Passage tombs, also often called passage graves, often resemble a hill or mound when viewed from a distance. Sometimes the only means of telling the difference between a hill and a passage tomb is by the entryway outlined in stone (as you will see below). Passage tombs are thus named because the entryway leads into a narrow corridor which must be traversed to reach the main chamber area. In larger tombs, there may be more than one chamber with multiple corridors. A common layout for these is the cruciform, which is when the corridors form a cross shape. Newgrange is is one the most famous Neolithic sites in Ireland, if not all of the British Isles. It is estimated to have been built in 3,200 B.C., which makes it 1,000 years older than Stonehenge and 600 years older than the Great Pyramid at Giza. It is located on a ridge along the Boyne River, forty miles north of Dublin near the town of Drogheda. It is part of the larger Brú na Bóinne complex, which also includes the Neolithic sites of Dowth and Knowth. Additionally, approximately forty smaller ancient grave sites are found in the area. Together, all of the sites at the Brú na Bóinne complex are recognized as a UNESCO World Heritage site, and it is considered the largest and most important Neolithic complex in the world. Although the original use of this passage tomb is not known, it is speculated to have had some kind of religious significance. 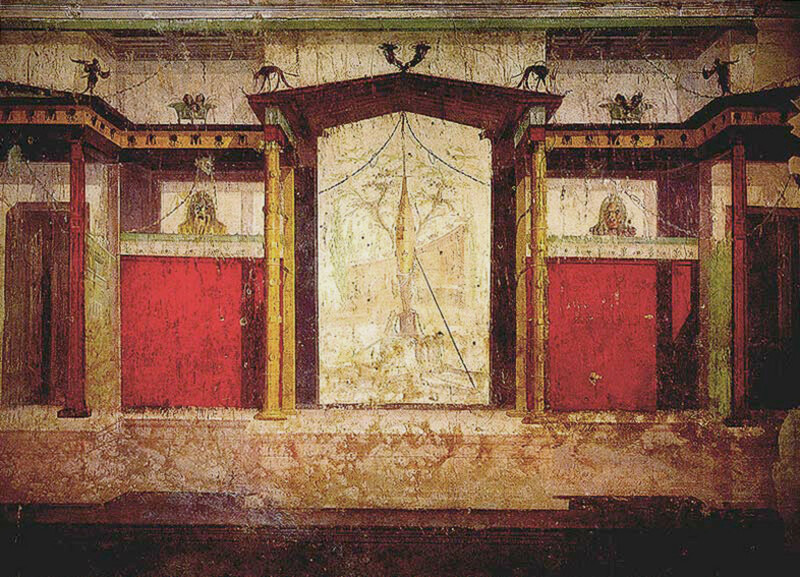 The passageways were designed so that light floods the main corridor at dawn on the Winter Solstice, December 21, and also on the days just preceding and after the solstice.. Archaeologists have found human remains within the Newgrange tomb, showing that it had, indeed, been used as a burial site. However, ritual use of the site was so significant that some say Newgrange should be considered an ancient temple more than simply a tomb. 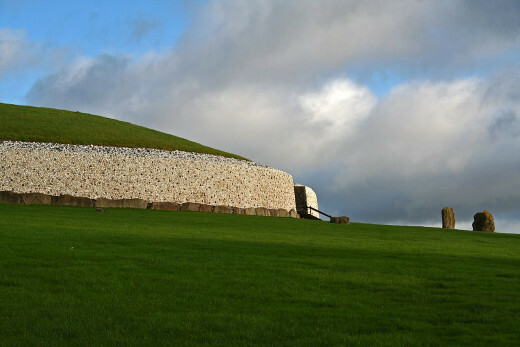 Newgrange appears to have been utilized for astrological, spiritual, religious, and ceremonial purposes. A useful comparison is with Medieval cathedrals where the larger population gathered for ceremonies and feast days, and where rulers and people of social and political importance were buried. 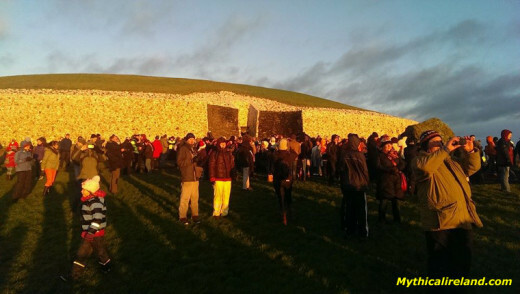 Winter solstice seems to have been the major event of the year at Newgrange. On the days just before, during, and after the solstice (December, 21), light enters the chamber through an opening at dawn, and floods the main corridor with light. This is one of many examples of ancient time-keeping which marked the calendar year. Anthropologists speculate that this event holds symbolic meaning. Not only would it mark the beginning of the new year, but also it celebrates the victory of light over dark, the return of the sun, and possibly renewal of life. 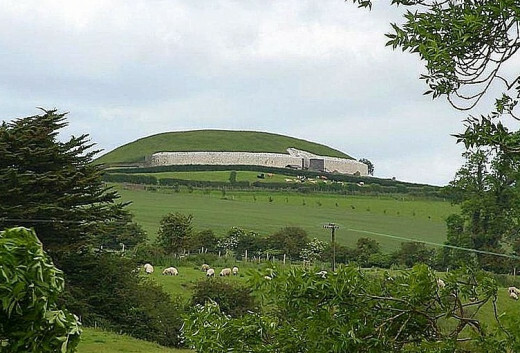 Due to the association of Newgrange with the sun, some have speculated that the Dagda, an ancient Irish god of the sun, may have been worshiped there. And, indeed, like other ancient sites, Newgrange's meaning likely changed over the years to the people who lived within the general vicinity. Today, the tradition of recognizing the solstices has been revived, and ancient Neolithic sites such as Newgrange and Stonehenge are central gathering points of celebration. People from all walks of life come together to witness first hand what was considered sacred to our ancestors. Among the groups who pay special attention to the revival of celebrating the turning of the astronomical seasons are modern pagans, who include both Neo-pagan as well as ancient religion reconstructionists. 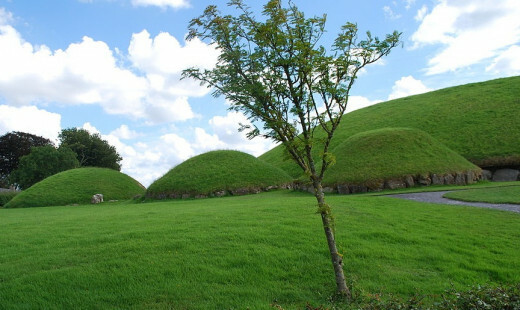 In Irish folklore, the site became known as Sí in Bhrú, the Fairy Mound of the Brú. 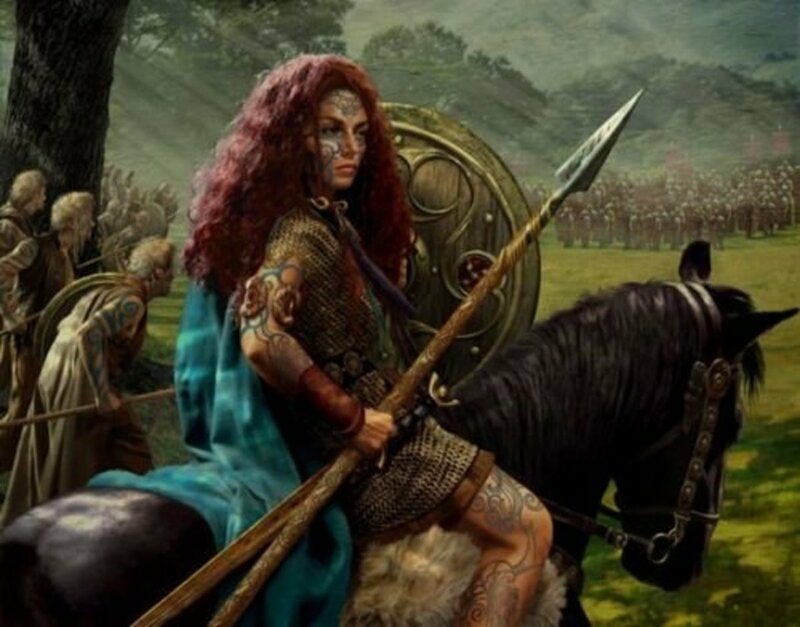 This is consistent with other fairy lore of Ireland, where fairies (the Sí or sidhe) are associated with the dead and burial mounds. The name Newgrange came about because the land in the area came under the ownership of a monastery, Mellifont Abbey, whose monks used it as a grange to graze their livestock in the 12th century. Presumably, by late Middle Ages to the Early Modern Period people believed the site to simply be a mound and were not aware of the construction that lay beneath until it was discovered in 1699. 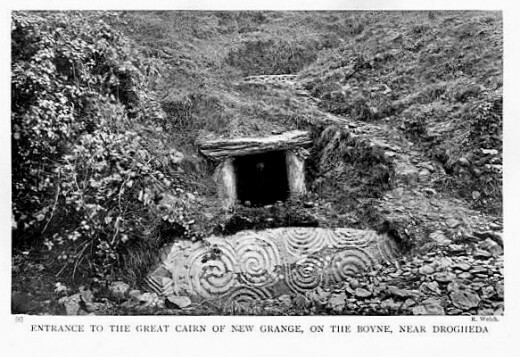 In the 20th century, serious efforts to excavate and study Newgrange were made. After decades of work, the decision was made to restore the site. One main reason for restoration was to make the tomb open for tourists and other visitors. This aim in and of itself was controversial. Does making an ancient sacred site into a tourist destination sully its inherent sacredness by conflating its intent with profit? Is this an exploitation of heritage? But, the other side of the coin is that by making a site such as this available to visitors, it becomes a living celebration of culture. There was another layer to the controversy, however. Many archaeologists argue that the way in which the walls were reconstructed utilized technology not available to the original builders. Not only that, but some believe it was rebuilt to look completely different than the original. 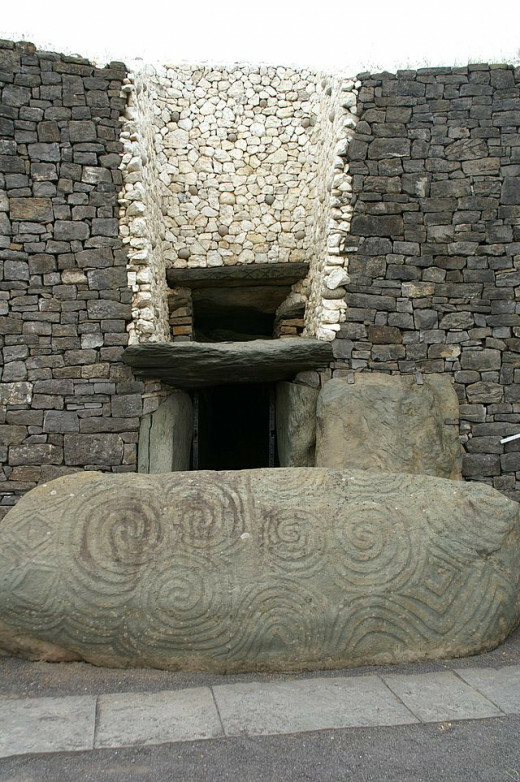 A competing theory asserts that the quartz stones placed into the front exterior walls would have been laid about the ground, as was done with the restoration of the tomb nearby at Knowth. Despite the controversies associated with the restoration, Newgrange stands once again as a place where people gather to celebrate the rebirth of the sun each winter. It also serves as a monument to remember the great Neolithic cultures of Europe, which birthed the predecessors of our modern cultures. 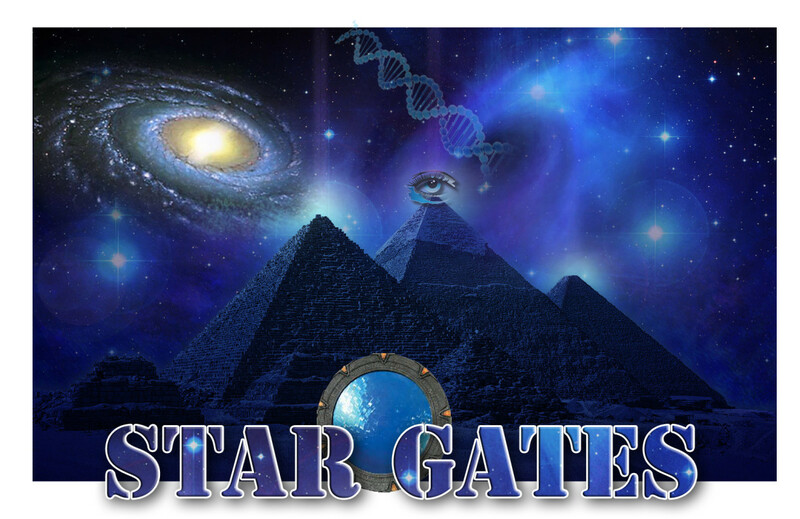 Without these people and their fascination with the rotation of the Earth, celestial movements, and the natural world around them, we would not have the rich mythos and cosmologies that followed them. The mythologies of the ancients gave way to the folklore and folk customs of the Middle Ages, which can still be seen in our holiday celebrations today - many of which still fall around solstice and equinox markers. Sources for this article: Newgrange.com, UNESCO, World Heritage Ireland, Newgrange Ireland, Sacred Destinations. More articles are posted on my website. And please follow my writer's page on Facebook to be alerted when new articles come out! This was an excellent hub, Carolyn. Real interesting and fascinating, too. It sounds like a magical and awesome place to visit. Real useful and voted up! This is a great hub on archaeological heritage of a great country. I liked the way you presented facts in this article. With a nephew studying in Ireland and telling us all about the cultural, historic, and natural touristic heritage of the country, my wife and I am thinking about visiting the country soon. Hope everything works out fine with our plan. Found useful, interesting and am voting it up! This is an incredible hub with intriguing and provocative information and photos. Although I've never visited Ireland (and my ancestry is only 1/8 Irish), I've always felt a strong kinship with its people and history. One of my favorite videos was made from a helicopter flying all over the country and coastline. I can (and do) watch it again and again, never feeling bored. Even though purists may disagree about how Newgrange was restored, I feel that enabling people from this era to see it--even if not perfectly accurate to a stone--preserves the culture and history of ancient Ireland and educates visitors about that earlier era. It is especially interesting to me that in Neolithic times, those people (generally considered as very unsophisticated) were able to design a chamber that could be lit naturally from without during the Winter Solstice. Loved this. I had the chance to visit Ireland and Northern Ireland but just did not get enough of their fantastic history and culture. Pinning this hub, sharing, and emailing to my father, the family history buff. Very interesting hub and great photos. I would really love to visit Newgrange and there are many other Neolithic sites in the UK on my bucket list as well. Wow...It's a great place. I had never hear before. Thanks for sharing and you have nice review. I love the pictures as well. Good job and take care! Very interesting and informative hub, Carolyn. I enjoyed reading it. Eddy thanks for stopping by :-) and Alicia, I appreciate the share and if you do visit, be sure to share your experience! I've wanted to visit Newgrange for a long time. I didn't know that there was controversy associated with it! Thanks for sharing the interesting and informative facts, photos and video. I'm determined to see Newgrange for myself some time in the not too distant future! I'll share this hub. I thoroughly enjoyed this great hub Carolyn and voted up. Eddy. Hi Sarah, thanks for reading :-) I would love to visit on Solstice also! Great article - voted up! Very clear explanation of about the ancient site as well as good discussion of the controversies of restoring it. I'd love to visit Newgrange some day - maybe at the time of the Solstice!